When Amy Winehouse passed away, it was assumed by many people familiar with the 27-year-old singer&apos;s life that drugs played a role in her death. 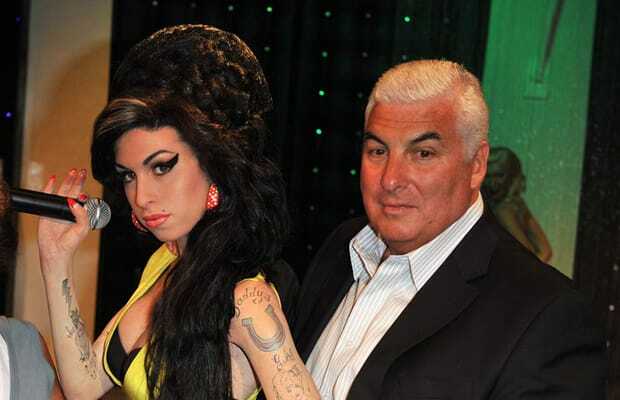 Winehouse&apos;s father Mitch asserts that his daughter had been clean for years prior to her passing and that while she still struggled with alcohol, there were no drugs present in her system when she died. He explained to Anderson Cooper that a seizure was likely the cause. "Everyone thought I was in denial, I wasn’t in denial, she hadn&apos;t taken drugs. She&apos;d been clean for round about three years. Her problem was alcohol, the last few years of her life. You might argue, &apos;What&apos;s the difference?&apos; The difference is that what happened to Amy wasn’t anything to do with drugs. It might be that drugs took its toll in the early years, but there were no drugs in her system…She was prescribed Liprium, which is a normal drug, which is given to people who are detoxing and it kind of decreases the chances of having seizures. She was continuing to take one of those pills everyday." "She had a series of seizures brought on by this binge drinking and then stopping to drink….I think it&apos;s what the doctor said, I think she had a seizure and this was the time when there was no one there to rescue her."